I can't say that I've missed the cold, but I would love one "real" snowstorm before spring officially arrives. 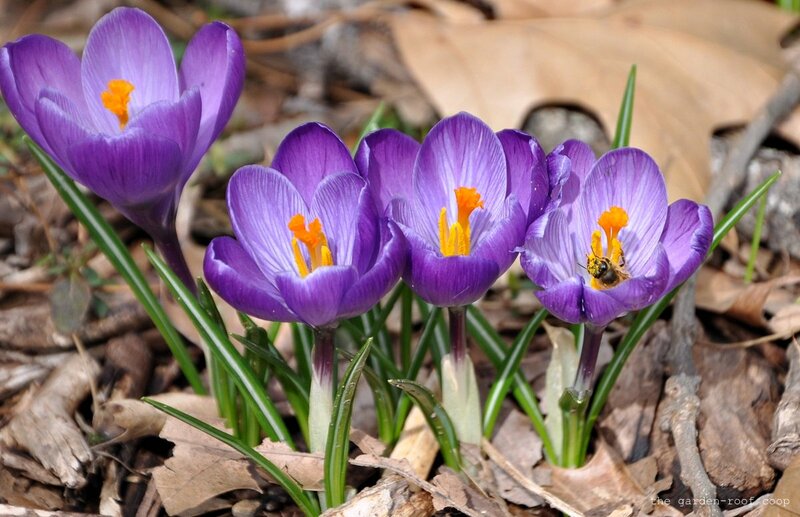 However, I'm thrilled I have a few early spring blooms starting to appear and I'm already planning what new plants to add to the kitchen garden this year. 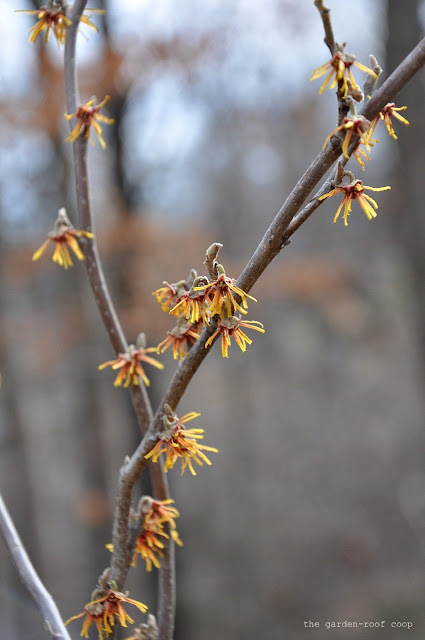 I love all the beautiful blooms...the witch Hazel is lovely but the cinnamon hen is the best! I m so going to have me some hens at my new house.....Blessings! I always enjoy seeing the chickens, too! 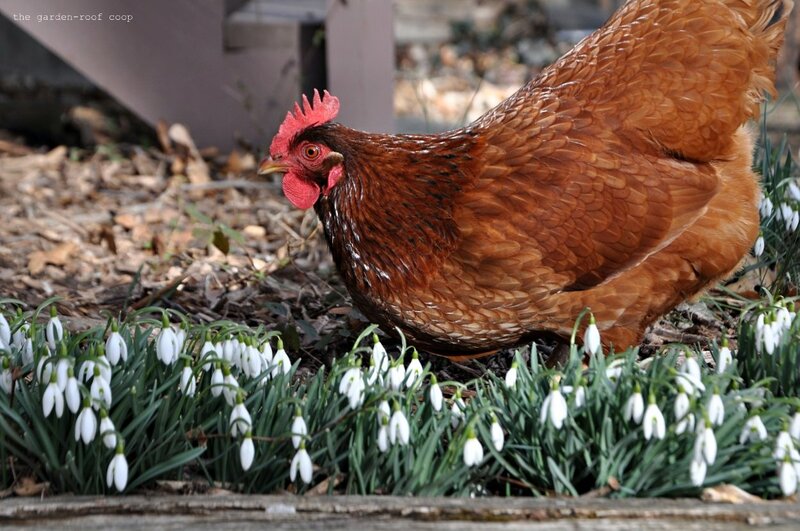 Sweet Esther among the snowdrops, what a photo! Happy Bloom Day. 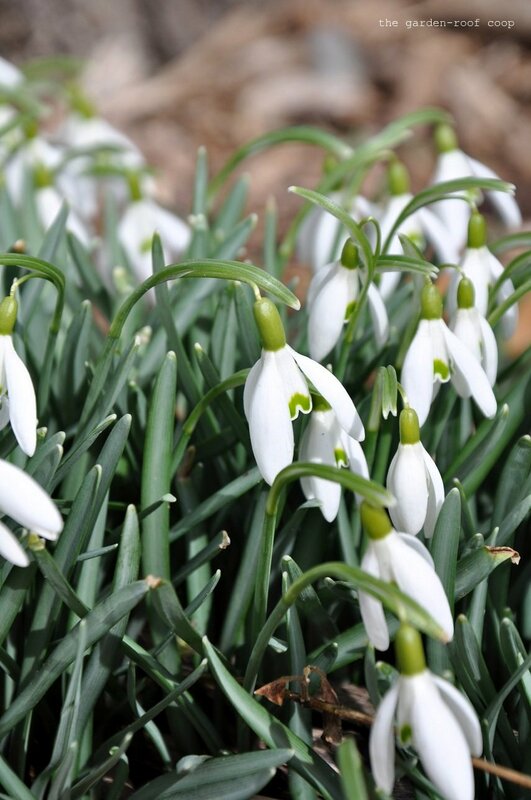 Snowdrops are my instant favorite the first and only time i saw them. I wonder if i will ever see them again in person. 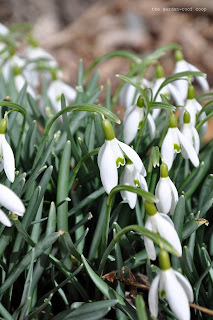 I am glad that almost every blog from the temperate climates have snowdrops, crocus, hellebores and witchhazel. I already know them very well now. We've had a mild winter as well, but I still don't have anything blooming yet. 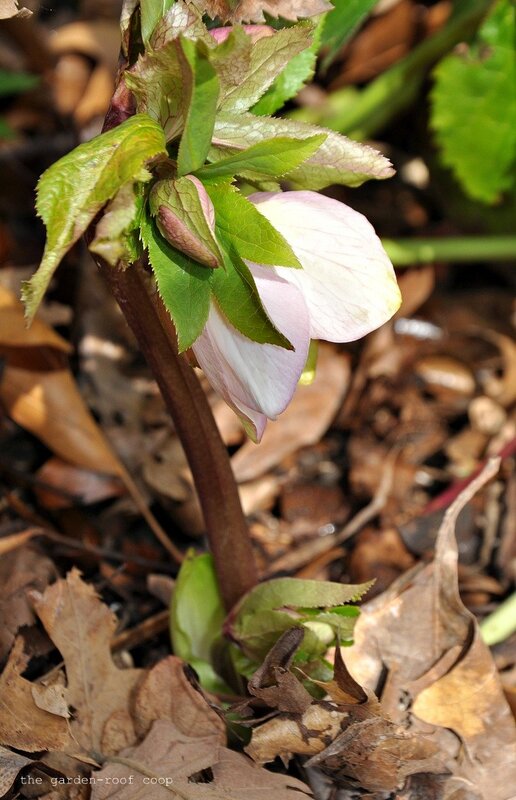 I enjoyed seeing your blooms & can't wait until mine are blooming as well. Esther is beautiful. Pretty blooms! The first spring/winter blooms always cheer the soul! They would look pretty in a blanket of snow too! I enjoyed your blooms and, of course, Esther. We're making do with a few daffodils and some Johnny-Jump-Ups. I like too these blooms.Keep going you do a great job there.